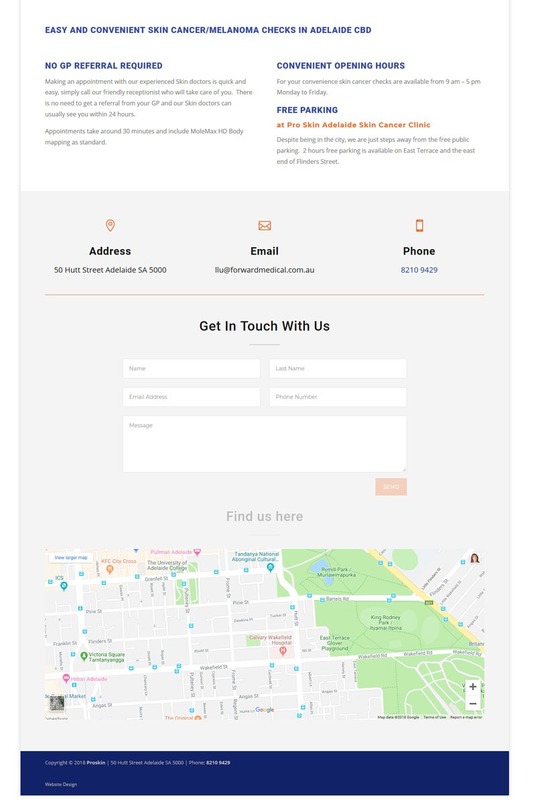 Website Adelaide was contacted by the Business Manager at Forward Medical Group as we had previously built their website. They were wanting to branch out and set up a new skin cancer clinic, called Pro Skin, in Adelaide CBD. The new business venture needed to have a modern, progressive and educational website. The Client wanted the website up and running fairly quickly, but did not have the time to create the content themselves. 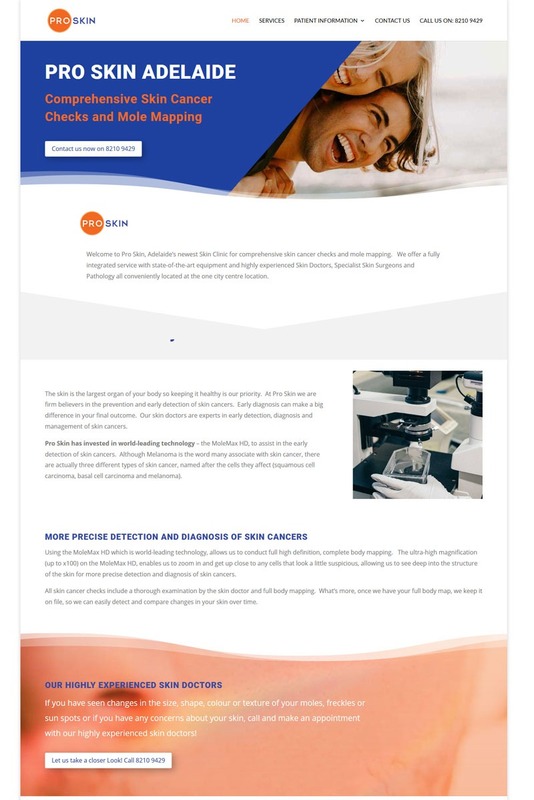 The Client chose our ‘Done For Me’ website package, so we did all of the hard work, freeing up the Clients time to focus on their existing business. Website Adelaide arranged the domain name, web hosting, logo and text, and took care of everything to make the whole process smooth and easy for the client. Colette Chorley Creative Content and Marketing interviewed the client about what the new business wanted to achieve, what the goals of the website were and who it was aimed at. She then researched skin cancers and wrote the text to be educational, easy to understand and used language that gave the site good online visibility using lots of keywords. We work closely with Adelaide Advertising, a fantastic design agency, who took care of designing the Pro Skin Logo. The Client was delighted with the new website and the whole process took less than one month.